We knew that Kyle Barnes wasn't the only Outcast, but just how far does this strange group stretch to? A new batch of Outcasts have arrived in town, preparing for a final showdown with the forces of evil. Kyle can use all the help he can get as he's having trouble keeping his rag-tag flock safe. With the demonic creatures pulling strings from the shadows, it's only a matter of time before it all falls apart. 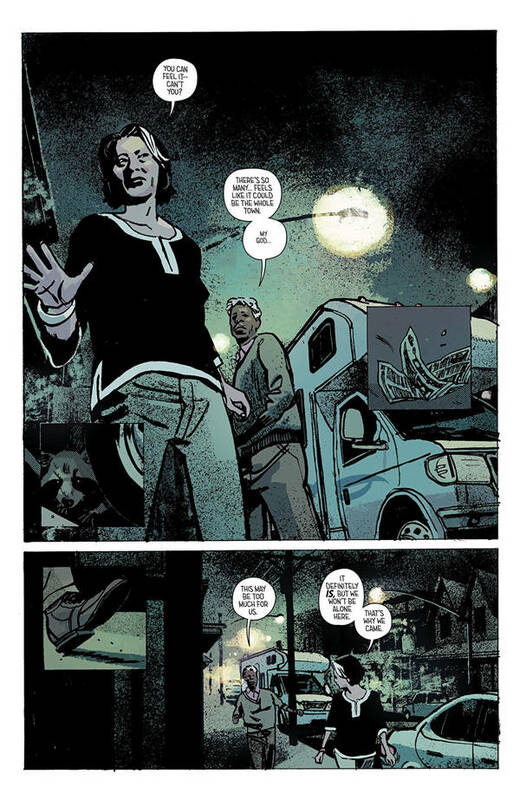 There's an unmistakable tension in Outcast #40. It's clear that the series is building towards something as it enters its final stretch. So many pieces are moving into place so this town has become even more of a powder keg. It's not just good vs evil either,there are rival factions on both sides that will make this even more explosive. This goes hand-in-hand with Elizabeth Breitweiser's colors. They cast a foreboding light on every scene. The shadows seem to loom a little larger. This is true for both the daytime and nighttime scenes. It's like a dark cloud is hanging over the town and it's showing no sign of leaving any time soon. Artist Paul Azaceta can say so much with a single character glance. 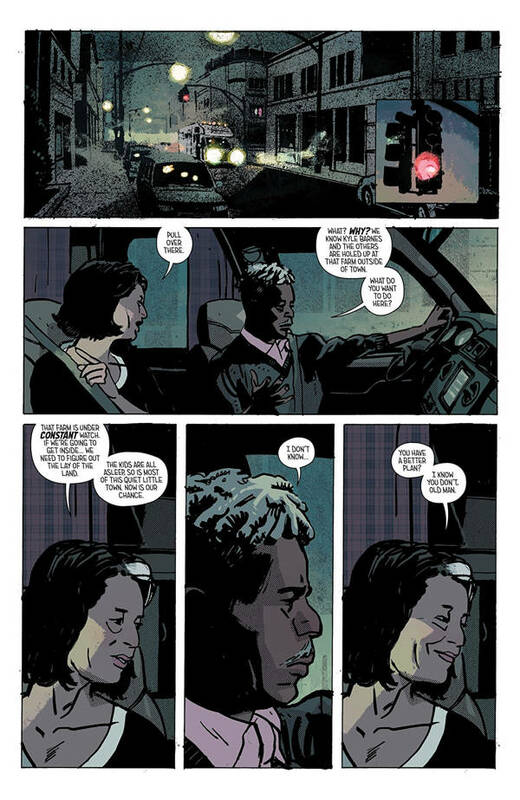 There are many panels presented without dialogue, but they speak volumes. Some of these folks have been through so much and you can see that in how they carry themselves or in a single moment of weakness where they practically break down. Azaceta inserts a number of smaller panels onto the pages that focus on specific details or close-ups of a character's face. This is an effect he's used for the entire series and it has always been a favorite of mine. These little images add some additional weight to a scene, like a quick cut might in a feature film or TV show. There's only so much room on the page and Azaceta makes it feel far larger than it is. Rus Wooton's letters complement this idea very well. He bolds some words in a way that instantly draws the eye and adds that little extra emphasis on them to let them sink in a little more. This reframes what could be basic conversations between characters, giving us a peek into what's really going on in their heads. 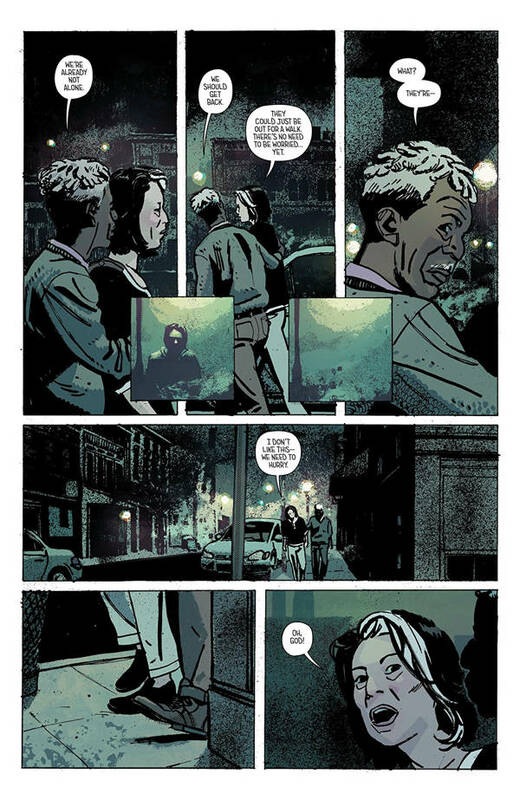 Outcast is a tense and shocking read, but more importantly, it's full of incredible character moments. We are along for Kyle's journey, fully invested in his life and all the ups and downs. He's finally got his life together and these forces are working around him to possibly tear it all away again. This makes for a gripping story that will stay with you for some time.